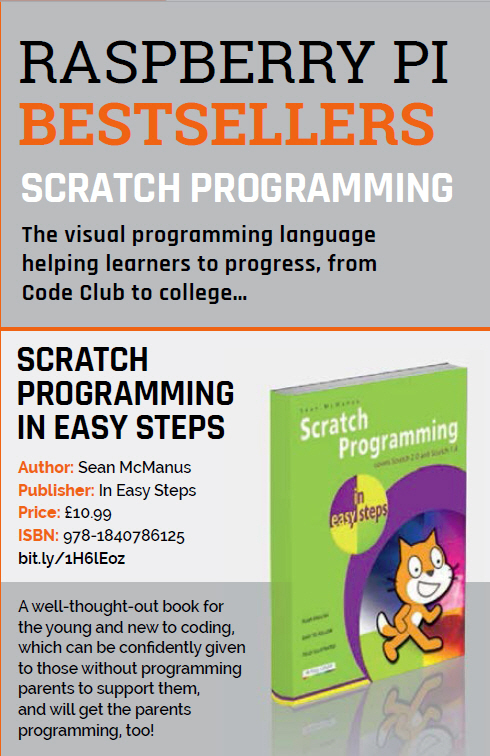 The MagPi, the official magazine of the Raspberry Pi, included a short review of Scratch Programming in Easy Steps in its latest issue, which was a lovely surprise. Thank you to the MagPi for its support! You can find out more about the book and its projects here. If you'd like to order a copy for some coding fun over the summer, visit my shop here.